Showing results for tags 'são paulo'. Anyone with spare tickets for the São Paulo concerto in Brazil? 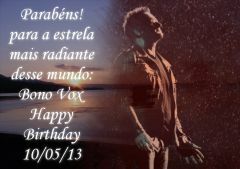 Happy birthday (10/5/13) to the most radiant star of this world, Bono vox!